Spirit Halloween donates over $200,000.00 to McLane Children’s! Spirit Halloween present a check for over $40,000.00 to the staff at McLane Children’s. Spirit Halloween has always been an amazing part of our family here at McLane Children’s, and not just during Halloween! These wonderful people not only participate in our Halloween festivities and provide a costume to every child in our hospital, they also come to spend time with our children during Christmas and Valentine’s Day making crafts and playing games with them. We cherish the smiles that they provide and on the 14th of January it was no different. 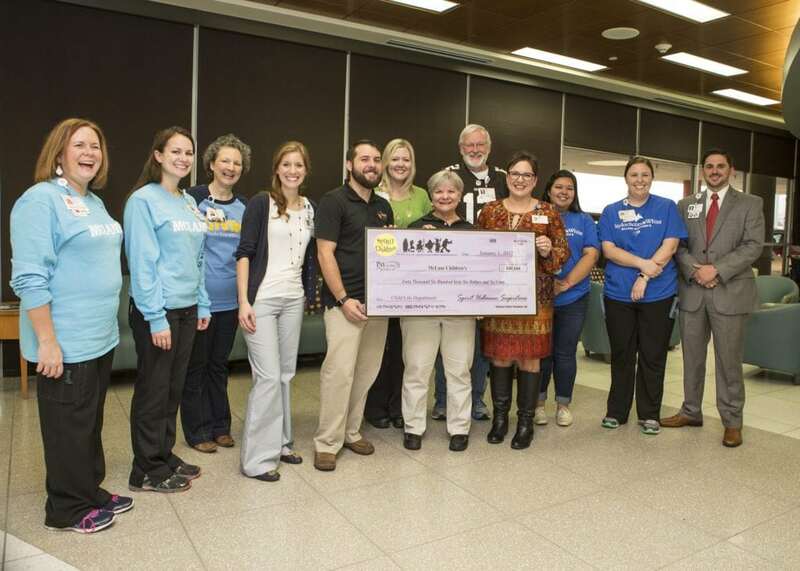 There were smiles galore as our friends at Spirit Halloween presented McLane Children’s Medical Center with a check for $40,666.00! That brings their giving total to over $200,000.00! Thank you for all that you do Spirit Halloween! We appreciate you more than you know!